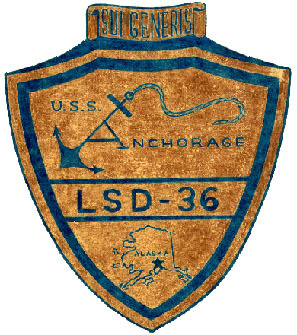 Description of Coat of Arms:The ANCHORAGE's insignia portrays both the origin and meaning of its name and depicts that it is the first in a class of Dock Landing Ships. 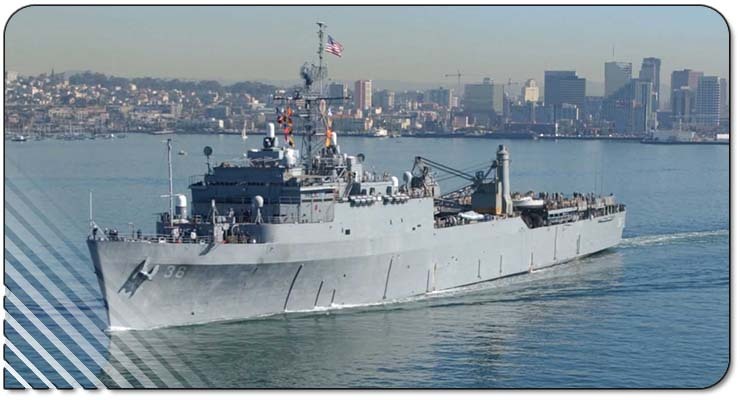 Symbolized in the anchor and line are stability and security that this ship will provide for the United States Navy on the high sea. The Latin term "Sui Generis" is translated to mean "of particular kind or first of a class." It is the first ship to be named after the largest city of Alaska, which is represented by the star on the map.